Gligor Bishev, PhD has been appointed as President of the Board of Directors and General Manager of Sparkasse Bank Makedonija AD Skopje as of 06.06.2013. He also volunteers Vice-President in the Economic Chamber of Macedonia. He began his career in 1984 in the National Bank of the Republic of Macedonia, first as a junior economist, and later in 1993 as General Manager, to be appointed Vice-Governor in 1994 and from 1997 to 2000 as Deputy Governor of the National Bank of Macedonia. From 2000, Gligor Bishev has been the Chief Executive Officer and Chairman of the Board of Directors in Stopanska Banka AD Skopje. In addition to the professional engagement, Gligor Bishev is active in the field of economic sciences as an associate professor at the Faculty of Economics – Prilep, and a professor on postgraduate studies at the Faculty of Economics - Skopje. He participated in the monetary independence and reforms in the Republic of Macedonia. He has participated in several research projects in the fields of banking and monetary theory and policy, applied economics, economic development, exchange rate policies, balance of payments, international financial institutions, capital flows, corporate finance, investments and financial markets. One of more important functions he has performed in his career so far is the co-chair of the Working Table II: Economic Reconstruction and Development of the Stability Pact (January - June 2000). 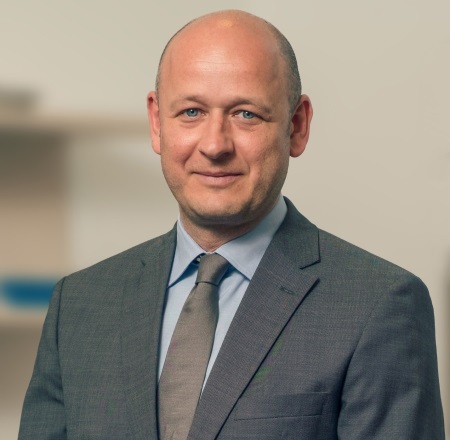 Gligor Bishev,PhD, as Chairman of the Management Board of Sparkasse Bank, is responsible for setting the strategy of the Bank and sales activities – retail operations, asset management (liquidity), marketing and communications, human resources, accounting and control, and for the coordination of the Cabinet of the Management Board, INFOSEC and Internal Audit. Sasha Boko is a member of the Management Board of Sparkasse Bank Macedonia as of 04.12.2012. He graduated from the Faculty of Economics in Zagreb in 1995. He started his work experience in the sales department at Brodomerkur SPLIT, and later continued to work as a sales manager in British American Tobacco. 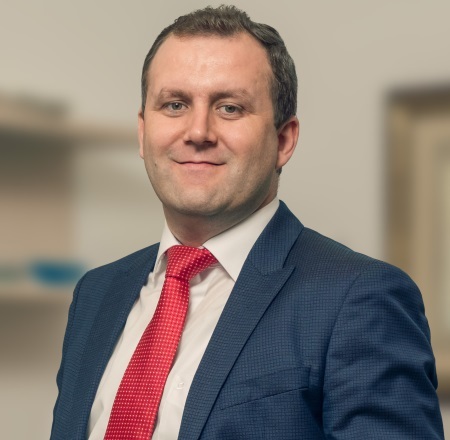 He joined the Erste Group and Steiermärkische Group in 2006 as Manager of S-Leasing in Zagreb (2006-2007), and later in S-Leasing Belgrade (2007-2009), and in Sparkasse Leasing Skopje (2009-2012), until his appointment as a member of the Management Board of Sparkasse Bank Makedonija. 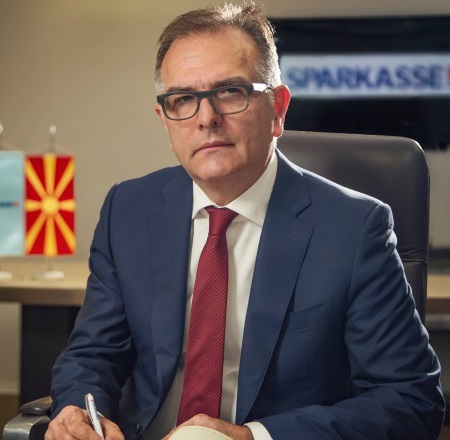 As General Manager of Sparkasse Leasing DOO in Republic of Macedonia, founding the new leasing company in Skopje by Erste and Steiermärkische Group, he started the leasing business in Skopje. For a period of three years after joining the market, Sparkasse Leasing managed to take the leading position among the leasing companies, which at the same time owns a great risk portfolio. Boko, as a member of Management Board of Sparkasse Bank Makedonija, is in charge of sales activities – corporate operations and property management and security. Alvin Alicevic, MA was appointed member of the Management Board of Sparkasse Bank Makedonija AD Skopje on 24.11.2017. He began his career at the Steiermärkische Bank und Sparkassen AG, Graz / Austria within the AIESEC International Training Program in 2007. As a result of the positive evaluation, his international way of thinking and high mobility, he assumed the job as a Risk Management Manager at Sparkasse Bank D.D. Sarajevo, Bosnia and Herzegovina from January 2008. The scope of duties and responsibilities included migrating to a new Core IT System, as well as the subsequent implementation of an adequate risk management structure in accordance with local and Group requirements. He continued his career within the Group as Senior Risk Manager for SEE in Steiermärkische Sparkasse in Graz from May 2011, until his appointment member of the Management Board of Sparkasse Bank Makedonija AD Skopje. Alvin Alicevic, as member of the Management Board of Sparkasse Bank Makedonija AD Skopje is responsible for risk management, organization and IT, legal affairs, back office activities (processing) and coordination of regulatory compliance control, including prevention of money laundering as well as all aspects of risk management of the back office activities (middle and back office) and assets and liabilities management.